It’s June and that seems to be a pivotal month in many ways. I always here about June weddings, or graduations from schools, the beginning of summer and then of course the reunions. Have you ever been to a reunion? Kim and I both had a milestone this past summer and we debated whether to go or not. In the end we opted not due to travel and all the other things in life that can get in the way. I think I probably would have had more fun at Kim’s reunion than my own just because it would offer me a view into her younger life and friends. Our high school careers, though happening at the same time, seem to be so different! In a good way. A way that makes sharing our past that much more fun. Attending my high school reunion though, I think, would have been a lot more traumatic. The stress of seeing people I knew but weren’t really friends with. The wondering if I had accomplished enough using their lives as markers. Then the awkward, “I didn’t know you were gay!” comments. I used high school more as a stepping stone to college. Actually, I don’t really think that I had much of choice, it was just always a thing- I was going to go to college. One in particular caught my eye and high school was just a means of getting there. I didn’t have a lot of friends, played lots of sports, spent a lot of time with my family, and didn’t date. It wasn’t until I was IN college that it sort of all came together, I like girls! So luckily I wouldn’t have to face any ex’s when returning to a high school reunion. Actually, not any crushes either. No unrequited love from high school in my life. But if I did, I would want it to be like those in our lesfic novels! The buried deep attraction from high school similar to Jennifer and Heather’s in Linda Hill’s Class Reunion. Would that be a good thing to have a second chance to make that impression? Then there is the overlooked opportunities of Angel and Rett while they are in high school. Now grown up and almost unrecognizable to each other they get to attend their high school reunion in Karin Kallmaker’s Unforgettable. Now if those types of experiences were in my high school history, then I might attend a reunion to see if it was still there. Wouldn’t you? There are just so many ways that a reunion could go. 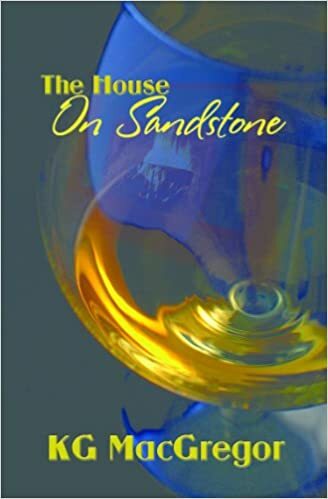 I hope that my high school reunion would be more like that of Carly in KG MacGregor’s The House of Sandstone where going to the reunion is a better opportunity than the one that was available while in high school. A chance to be the bigger person in a small town environment. One thing I do know for sure is that many of my classmates have grown into amazing, kind individuals. As I prepare to spend this week riding down the coast of California to raise awareness and support for the fight to END AIDS, I truly recognize how awesome my classmates truly are. Out of a class of 125 I had 10% of them donate to my ride! Pretty amazing! For that I would go back to my reunion! Are there more stories out there with a high school reunion? I’m thinking it could be the source of some comical situations. At least I would hope mine would be more laughs than stress though I’m thinking all the stress would come beforehand. 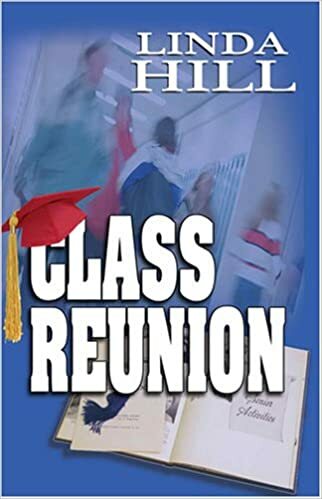 Have you been to any of your high school reunions? If so, was a woman involved? Previous And then the guy called my name…Ann Aptaker at the Lambdas! Ann you are going to have to let us know how the reunion goes and the singing! And your prom sounds perfect! Thanks for reading! Beth I think I would be in that same boat. FaceBook has helped in keeping in touch with classmates a bit more than the first ten years being out of school but still haven’t had any face to face meet-ups. Thanks for reading! I’ve never gone to a single high school reunion because I was that shy, nerdy kid who graduated a year’s early and no-one would remember….so the awkward question of I didn’t know you were gay would probably never surface because I was a complete nobody! I’m not sure if I would get material or not at my re-Union because I basically barreled through high school in an attempt to get to the other side! No fond memories there, but also no horrible ones either. Annette that is awesome to be the shy nerdy kid who was smart enough to get to the other side of high school faster than all the others! And now you are an amazing author giving us fun books to read! They would be lucky for you to attend! Oops typo….I meant a year early and great blog as always…. I’ve gone to all my high school reunions. But then, I grew up in a small town and my high school class was, like, 80. Most of us had been together since elementary school, and a lot of us still stay in contact with each other to this day. We were a rather tight-knit bunch in some ways. I just had another reunion last August and we had a blast. My dad once told me that reunions can be fun to catch up with people, but they also show you how far you yourself have come, and they give you great perspective. He was right. Anyway, thanks for the blogs and thanks for all the posts on FB about your ride! Andi it looks like I’ll be adding “All You Can Eat” to my wish list! That story sounds really good. And I like your dad’s perspective of attending reunions. I think I’m probably just scared that I haven’t come far enough. Kate I am so sorry that you had such a bad high school experience but I’m glad that you were able to find a few people who were friends and supportive through the years. I’ve always thought that having a few good friends is better than being the popular one. And hopefully all the wonderful lesfic books we have access to now help! Thanks for reading!! No HS reunions for me, but not because it was a “bad” experience or I got picked on (thank goodness). I just, I guess I wasn’t my full-true self there. I didn’t feel particularly attached to the school or my school mates, after all they didn’t know the ‘true’ me (not just my lesbianism, which I didn’t even know, at the time, but the more serious, sad me). I only have contact with two HS classmates, via email or Facebook (our class size was 250 or so). Tons of crushes though throughout High school, some older, a bit younger …. 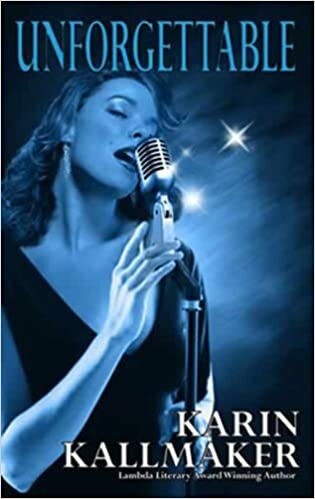 LOVE “Unforgettable”, might be my favorite Kallmaker novel, also read and liked the other two you mentioned, so MAYBE I harbor a bit of a h.s.-crush- turns-to-reality love story. Well Barbara if you ever return to one of your High School reunions and one of those crushes turns into something more you are going to have to let me know! I thought “Unforgettable” was very sweet as well not sure if it’s my favorite just because it’s so hard to choose a favorite out of all of her works!! Thanks for reading!